Semecarpus has long been used in Ayurveda. The tree produces sap which dries to a black resin and this has been mixed with lime or alum and used as a dye or marking ink (hence the name). Trade in the bhilawa nut is ancient and this fruit is considered to be the 'golden acorn' of Galen and Avicenna. The tree is distributed throughout the hotter parts of India and in the deciduous forests of the Malaysian archipelago and northern Australia. A medium-sized deciduous tree, reaching up to a height of 12-15 m (Plate 54). The bark is dark brown and rough, the leaves large, ovate and simple up to 60 cm long and 30 cm wide. The flowers are small, dioecious, dull greenish-yellow; the fruits are drupes about 2.5 em long, obliquely ovoid, smooth and shining, black when ripe, on a fleshy orange receptacle in terminal panicles. The resinous juice is applied to heel cracks. 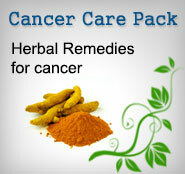 In traditional medicine, it is highly valued for the treatment of tumours and malignant growths. The fruit is reported to be caustic, astringent, alterative, antirheumatic, carminative, counterirritant, rubefacient and vesicant. It is also used in anorexia, cough, asthma, indigestion, enlargement of the spleen, alopecia, ulcers, corns, leprosy, leucoderma, rheumatism, piles and for various nervous diseases. The crushed seeds are applied to cuts, bruises and scratches to stop bleeding. The oil is applied to cracks and fissures in the tails and hooves of animals. Bhilawa fruits are cooked in mustard oil and then applied to sores to kill maggots. The seed contains anacardoside and other derivatives of anacardic acids, including 'bhilawanol', which is a mixture of 1 ,2?dihydroxy-3-(pentadecenyl-S') benzene and 1 ,2-dihydroxy-3-(pentadecadienyl-S', 11 ') -benzene. Semecarpetin, semecarpuflavone, nallaflavone, galluflavanone, jeediflavanone, tetrahydroarmentoflavone and tetrahydrobustaflavone have all been isolated. 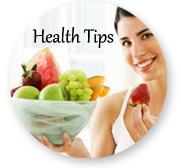 The oil from the nut contains palmitic, stearic, oleic, linoleic and arachidic acids. Antineoplastic activity: Semecarpus anacardium nut milk extract, 'Serankottai nei', was tested against experimental mammary carcinoma in rats and treatment resulted in a significant reduction in the activity of aspartate and alanine aminotransferases and a sharp increase in lactate dehydrogenase, y-glutamyl transpeptidase, alkaline phosphatase and 5' -nucleotidase. The activity of these enzymes returned almost to normal control levels. 1,2- Dihydroxy-3-pentadeca- T, 1 0'?dienylbenzene and 1,2-dihydroxy?3-pentadec-S' -enylbenzene, isolated from S. anacardium, showed antitumour activity in vitro in the Eagles 9KB nasopharyngeal carcinoma cell culture system, but not against P3SSIeukaemia in mice at doses of 80 mg/kg. When the effect of the nut milk extract on the host detoxification system in aflatoxin B I-induced hepatocellular carcinoma was studied in male albino rats, oral administration (200 mg/kg body weight per day for 14 days) was found to be effective in inducing phase I and phase II biotransformation enzymes. It was suggested that the anti carcinogenic effect is mediated through the induction of these enzymes, The antioxidant defence system plays a critical role in carcinogenesis and is severely altered in aflatoxin B I-induced hepatocellular carcinoma. Non-enzymic antioxidant levels were analysed in rats to assess the antitumour activity and administration of nut extract produced a marked increase in antioxidant levels and a dramatic elevation in cytochrome P450 content. The observed anticancer properties may be due to its ability to induce the in vivo antioxidant system. A marked increase in lipid peroxide levels and a concomitant decrease in enzymic antioxidant levels was observed in carcinoma-induced rats, whilst drug treatment reversed conditions to near normallevels. The extract also stabilised lysosomal membranes in experimental hepatocellular carcinoma, which may have benefits in treating such disorders where the membranes are abnormally fragile. Immunomodulatory activity: The immunomodulatory activity of the nut milk extract was studied in rats bearing aflatoxin B I-induced hepatocellular carcinoma. Immunomodulatory activity was assessed measuring serum Ig levels. Reduced IgG, and elevated IgA and IgM, in the hepatocellular carcinoma condition were returned to near normal levels in rats treated with 200 mg/kg extract. Antiarthritic activity: The nut extract was shown to have antiarthritic activity and its effect was studied on carbohydrate metabolic changes associated with adjuvant arthritis in albino rats. The drug was administered at a dose level of 150 mg/kg for 14 days to arthritic animals, 14 days after the day of adjuvant induction. The decreased activity of glycolytic enzymes, and the concomitant increase in that of gluconeogenic enzymes, which had developed during the arthritic condition, reverted back to near normal in drug-treated animals. Carbohydrate metabolism, which had been affected during arthritic condition, became normalised with the drug.The nut milk extract also decreased lipid peroxide levels in both plasma and tissues and brought the altered antioxidant defence components back to near normallevels. It also stabilised lysosomes obtained from liver and kidney of adjuvant-induced arthritic animals. Antimicrobial activity: Anacardic acid possessed antibacterial and antifungal activity against Staphylococcus aureus, Escherichia coli and Candida albicans. It also had antiamoebic effects in rats inoculated with Entamoeba histolytica, reducing the degree of infection compared to untreated animals. Anthelmintic activity: Anacardic acid was lethal to earthworms. Hypocholesterolaemic activity: Administration of S. anacardium nut shell extract to cholesterol-fed rabbits resulted in a significant reduction in serum cholesterol levels and LDL cholesterol.lt also prevented accumulation of cholesterol and triglycerides in the liver, heart muscle and aorta. The drug should be used with care, preferably under the direction of a qualified practitioner, since the anacardic acids are allergenic. The maximum tolerated dose of a 50% alcoholic extract of the fruit when given intraperitoneally to mice was found to be 250 mg/kg bodyweight.